Makerspaces have been widely advocated as a way to develop STEM abilities and soft skills. 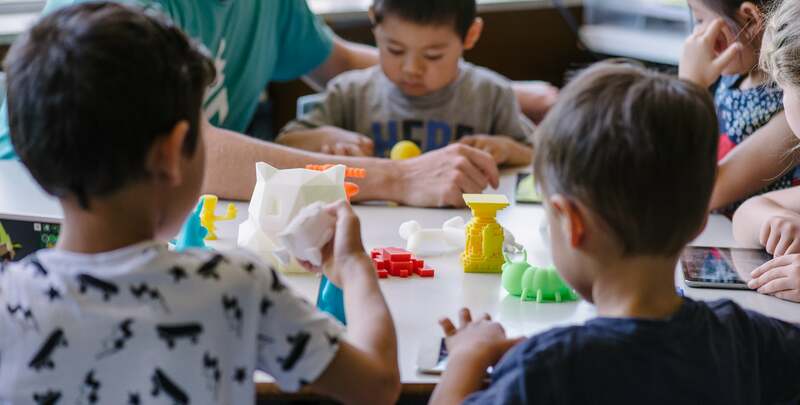 However, until now, there has been little research that investigates the learning and teaching outcomes possible with makerspaces, particularly for younger students. From August 2017 to July 2018, Macquarie University’s Department of Educational Studies partnered with the New South Wales Department of Education, Carlingford West Public School, Parramatta East Public School, Oatlands Public School and Makers Empire for a research project on maker pedagogy in primary schools. The research study examined how maker activities using 3D design and 3D printing technology could enhance learning and teaching outcomes: teachers from the participating schools undertook Makers Empire’s Learning by Design professional development course and participating students used Makers Empire’s 3D modelling software. The final 282-page research study report was authored by researchers from the Department of Educational Studies at Macquarie University — Associate Professor Matt Bower, Dr Michael Stevenson, Professor Garry Falloon, Dr Anne Forbes and Dr Maria Hatzigianni — and published in September 2018. 1. What do students learn when undertaking maker activities? 2. How do maker activities using 3D technology impact on students’ design thinking skills? 3. What supports and constrains learning in maker activities? 4. How do maker activities using 3D technology influence student motivation, engagement, self-efficacy and future intentions? 5. How can teacher capacity to embed design thinking processes through maker-based pedagogies be developed through a blended professional learning program? 6. How can teachers be best supported to develop their maker pedagogical capabilities? “Teachers indicated that the well-structured, pedagogically grounded, hands-on and situated professional learning enabled them to develop a better understanding of makerspaces, how to teach in them, the technical skills required, and 21st-century capabilities. The professional learning also significantly increased their confidence to teach in makerspaces.” [page 4]. “An unanticipated outcome of the study was the extensive teacher transformation that took place. Several teachers indicated that they had shifted to be more collaborative, flexible, and comfortable with technology. Many teachers entered learning partnerships with students, and as a result, students came to see their teachers as models of life-long learning. Some teachers related how these changes had transcended beyond their makerspaces modules – for instance, in the form of more inquiry-based, problem-based, and collaborative units of work.” [page 4]. Visit the Primary Makers website set up by Macquarie University for further details about the report, the authors, other publications and contact details. 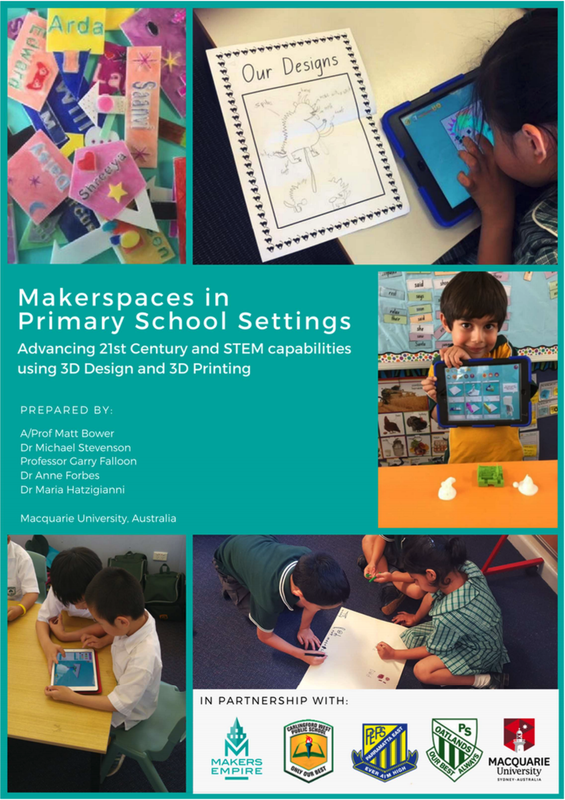 To download the Makerspaces in Primary School Settings Abstract & Summary or the Full Report click on the links below. To download the 1-page infographic, click on the links below.